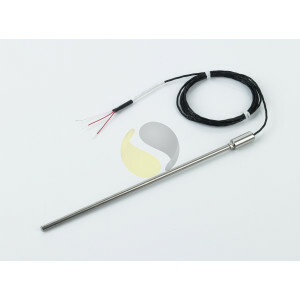 Resistance temperature detector (Pt100) with 316 Stainless Steel sheath; complete with Plain Pot Seal and 1 metre PFA flexible lead wire. 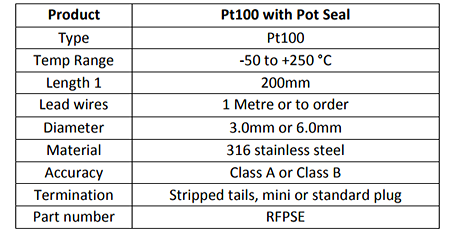 A Pt100 detector housed within a 3.0mm or 6.0mm diameter stainless steel sheath (other diameters are available upon request). 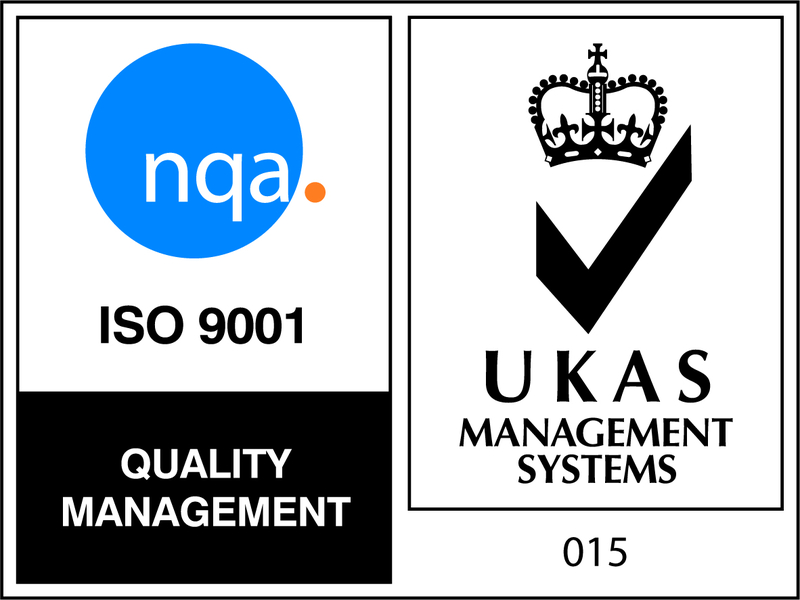 The inflexible tube provides protection for the sensor and is resistant to a number of liquids and gasses making it ideal for a range of applications. 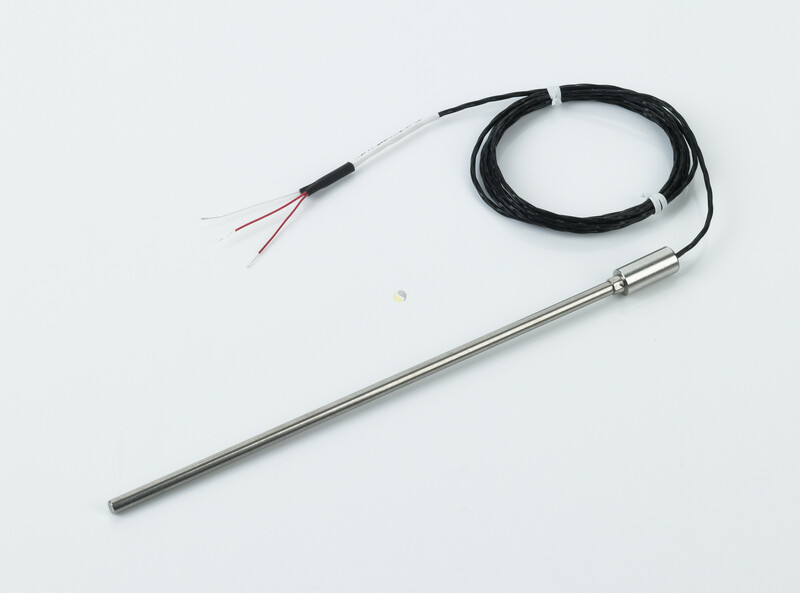 The probe is terminated with a plain pot seal and comes complete with 1 metre of PFA insulated lead wire for easy connection to instrumentation, terminals or plugs. Compression fittings are also available for connecting this sensor to a process or vessel.